Bacon Wrapped Pineapple Appetizer Hawaiian BBQ Sauce Aloha! Here is a nifty little appetizer to serve at a Hawaiian wedding shower, or any party with a tropical theme. It is simple to prep with just three ingredients – fresh pineapple, bacon, and brown sugar. When asked to bring an appetizer to a party, anything wrapped bacon is sure to be a hit. 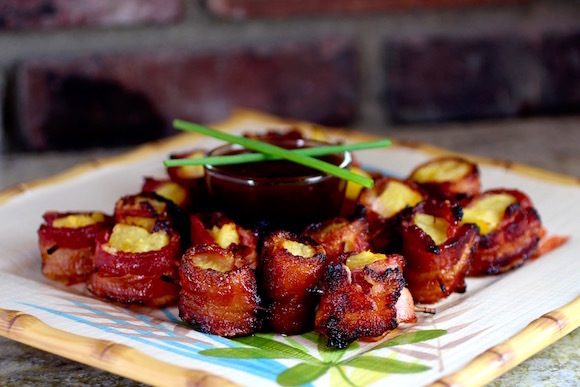 … Continue reading "Bacon Wrapped Pineapple Appetizer, Hawaiian BBQ Sauce"